“Sabadooey PIAAC?” – What is PIAAC telling us? To kick off Fall Institute 2013 – Interpreting PIAAC Results: Understanding Competencies of the Future, the Beautiful City Theatre troupe performed Measure for Measure, which included the players repeatedly listening intently for messages of meaning at the feet of a “PIAAC” teddy bear. Sabadooey PIAAC?, they intoned each time, speaking in tongues. And the bear whispered back disembodied words and phrases: “skills mismatch”, “technology-rich environments”, and the like. 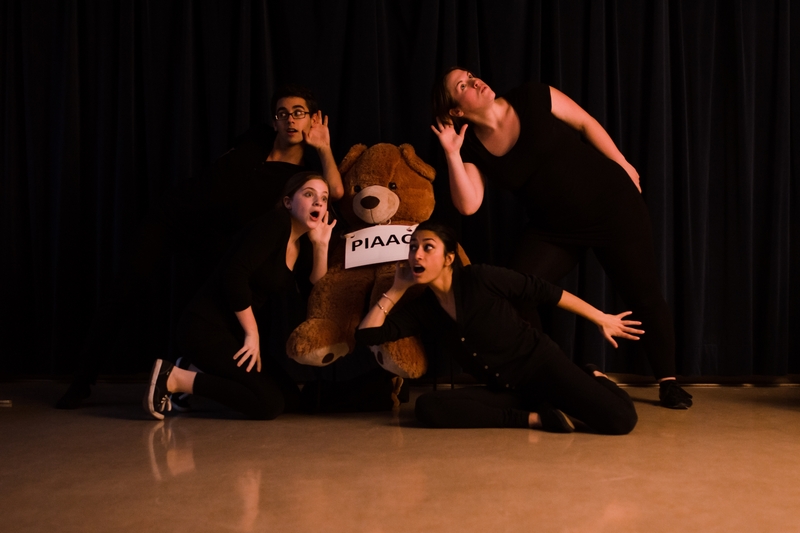 Each pronouncement from the PIAAC bear led into a short mime with sound, but finally led the audience to ask: What is PIAAC telling us? Is it telling us things that challenge our pre-conceived ideas, or are we mainly hearing what we already believe to be true? Perhaps a more relevant question than “what does PIAAC tell us?” is “What are people seeing and hearing in PIAAC?” We heard from a British participant that the poor results for people aged 18-24 in England and Northern Ireland are seen by the Conservative-led government as confirmation that the reforms they have already proposed for British education are indeed necessary. American results were greeted with general dismay by the few who noticed them amidst the political drama over the US government shutdown. Heidi Silver-Pacuilla from the U.S. Office of Vocational and Adult Education said there was virtually “no good news” for the U.S. in PIAAC. In Canada, reaction to the PIAAC results has been subdued: in fact, government officials from Nova Scotia and New Brunswick reported that there was virtually “no buzz” at all about PIAAC in their respective provinces. This may be in part because, as Patrick Bussiere, from Employment Resources and Skills Canada, reported early on Day One, Canada’s results were average overall: above average in Problem-Solving in a Technology Rich Environment (PS-TRE), below average in numeracy, and about average (but rather polarized between the highly-skilled and the poorly skilled) in literacy — no shocks here. Other possible reasons suggested for the restrained PIAAC coverage in Canada included loss of shock headlines since the OECD and the government of Canada no longer propose Level 3 as a benchmark. Hence no one can claim that PIAAC tells us that nearly half the Canadian population are “unable to function in a modern economy”. Still others suggested that there is general “survey fatigue”. Whatever the reason, Measure for Measure ended with a light-hearted caution — “Don’t jump to conclusions!” The Institute ended with general agreement that we need more analysis and reflection before we can interpret what the results might mean for policy and program, and that no single survey, however rich in data, can be treated as an oracle on literacy and learning, which are so deeply interconnected with social, economic and human issues such as productivity, poverty, exclusion, family life, health and aging. Computer-literacy + Problem-solving ability = PS-TRE?